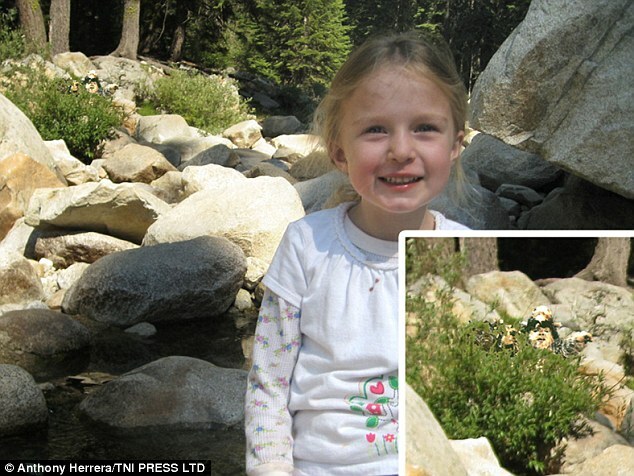 Herrera, 30, used Photoshop to insert the Ewoks into vacation photos and then showed them to his daughter. Herrera told his daughter that the bear-like creatures lived in the forest, which resembles their home planet of Endor. It sent her imagination running wild, and she scoured every inch of the vast woodland for the elusive fictional characters. The father, who also has a two-year-old son Tristan, said: “The rest of the trip, my daughter was set on finding an Ewok. We spent two days hiking through the park. 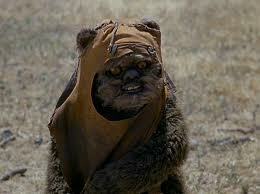 “Every shrub and bush that rustled convinced her that an Ewok must be near. The story has generated much publicity for Herrera, drawing the interest of newspapers from as far away as England. It has also sparked a debate among readers as to whether or not Herrera is being a good dad by playing this trick on his daughter. How about you? Can you spot the Ewok? Wow … This is a cute news story … something that can make us smile between some of the more difficult issues facing our communities. Good job Cal Coast. Keep bringing us the hard hitting news but stories like this are a fresh reprieve. Anything that brings a smile to the soul is A OK in my book. And to Mr. Herrerra … Good job in inspiring your kids imagination with innocent fun. Successful parenting includes a recognition that childrens imaginations are awsome and that you can also use the imagination to help enforce powerful life lessons. Emotional Trauma? This little girl is going to grow up with fond memories of a magical world. The world is magical to young children who are loved anyway. Consider the bedtime story books and how much children love them. Many people have already mentioned Santa Claus and the Easter Bunny, I don’t know of anyone who doesn’t appreciate having grown up believing in them. I grew up with many magical creations in my life. There was squeaky the elf that told my parents when I did something I shouldn’t have done. There was also Joey the Gremlin, he was the one who must have done things (like spilled the grape juice on the rug) when no one would admit to it and squeaky wasn’t around that day to see who did it! There were beautiful fairies in the garden and I would spend hours on summer mornings looking for them. These are all very fond memories, no trauma here and I have made it a point to pass this stuff on while kids are young enough to enjoy it. This will come up in therapy some day. What will come up is what awesome fun it was. Yah, because all of us who grew up beleiving in Santa and the Easter bunny went to therapy when we found out the truth…. Come on Ugluk!! Really? It’s all fun and games. It’s nice that this dad is creating an amazing world for his daughter right now. When she gets older she will be exposed to what we really have to deal with on a daily basis. So let her imagination run wild while it still can! GEEZ the dad made some fun entertainment for the kid. So what next? Are we to stop telling kids about Santa Clause? I don’t think you will do any more damage here, than believing in Santa. Next he will be telling her that politicians care about the public! Good post fhill123! Cant stop laughing!! I think it’s a cute idea. For those who object, what’s the difference between this and the Easter Bunny or Santa? Geez, chill out angry people. I’ll lead to great memories for the little girl. Will Mr. Herrera be taking his daughter snipe hunting soon? No but Dr. Krane will. I used my very formal looking diploma to convince my very young niece that I had been invited to the Royal Wedding of Prince Charles and Lady Di. She was unable to read at that age and was very awestruck. She still hasn’t forgiven me, but it certainly makes for fond memories. Because it’s funny and light-hearted. Sheesh, do you really need the 30 seconds of your life back that you probably spent on this?